This exquisite statement crystal and pearl side tiara oozes vintage chic style. Words simply cannot describe the sheer beauty of this statement side tiara. 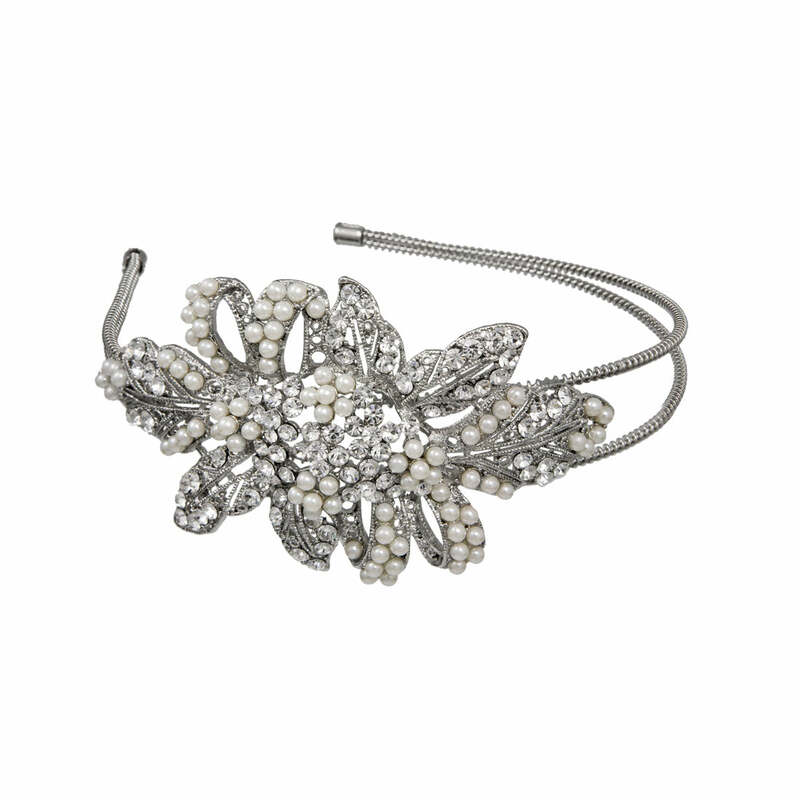 Featuring a statement floral adornment encrusted with sparkling clear Austrian crystals and soft ivory faux pearls set on a double silver tone band, this fabulous 'piece' takes inspiration from the roaring twenties with a hint of 40's style glamour. Perfect for black tie occasions, the races or for wedding guests who prefer to wear an hair accesory instead of hat, this looks beautiful on all hair lengths. Brides who adore vintage hair accessories are certain to fall in love with Treasured Pearl, which compliments antique style wedding gowns to perfection.